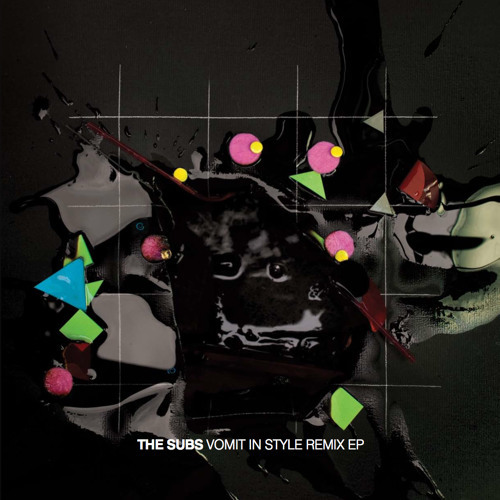 The Subs "Vomit in Style Remix EP" is soon to be released. Here's a mixtape using those remixes and some other megasuperduperpunchywe'llmakeyoudrooltoocoolforoldschool epic tracks Playlist: MMM – Donna The Subs – Vomit In Style -Les Petits Pilous Remix Carte blanche – Gare Du Nord Paul Chambers - Yeah Techno – Soulwax Remix Partyharders VS The Subs – The Pope Of Dope shouts: “Je Suis Le Diable” The Subs - Bang Bang Bang – Dub Mix The Bloody Beetroots feat. Refused - New Noise (The Subs Can I Scream Edit) Djedjotronic – Pepper Shinichi Osawa – Bring Back That Noise feat. The Subs Hey Today! - Talk To Me The Subs – Vomit In Style Remixes Medley: (In order of appearance) -VNNR Remix -Don Rimini Chi Town Remix -Mixhel Remix -Original Mix Michael Jackson – Don’t Stop Till You Get Enough Teki Latex – Dinausaurs With Guns (beats for Michael) L-Vis 1990 – Compass Proxy – Vibrate – Sound Of Stereo Remix Green Velvet – Fake &amp; Phoney The Subs – Naked Jack Partyharders VS The Subs – The Pope Of Dope shouts: “Je Suis Le Diable” again Tres Demented – Demented (Or Just Crazy) Remix EP release date: 05/06/2010 Tracklisting A1. Vomit In Style - Mixhell Remix A2. Vomit In Style - Don Rimini Chi Town REmix B1. Heat - Les Petits Pilous Remix B2. Vomit In Style - VNNR Remix and in the digital release there's a dub of Bang Bang Bang (from our former EP) included. Label: Lektroluv All these tracks are also featured in the mix. Big Love to everyone involved! let's go! let's go! let's go! let's go! Brain blowin' =).. Yeeaaaaahhh =).. This remix of lost prophets is AWESOME ! what's the track id ? omg i love it! id please!